I had comic BOOKS to read, movies to see, TV shows to watch, little girls to tease and Tonka TRUCKS that had to be destroyed. But my mother was making me go whether I wanted to go or not. Grandmama was cool when she was alive. She was my favorite Grandmother even though I killed her cat by mistake and she never knew it. She alwasy had a smile and 'treat' for her two favorite grandsons! I was awake alright and ready to jump out the car. We arrived at the church and my mother wanted me to go in alone to pay my respects since I was her favorite. I wished I wasn't her favorite now! I was only nine years old and this was as close to death as I wanted to be! Well I didn't mind being her favorite as long as she was alive! Now that she was dead I didn't want nothing to do with her! She was at the end of the long aisle that went down the church corridor. I thought it would take me forever to get to her coffin. The aisle seem to go into eternity. 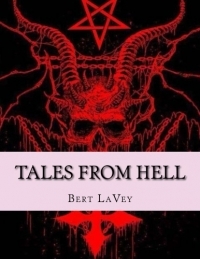 Bert LaVey is accepting feedback on this chapter.